These days, most of our customers either call us because our company was recommended to them by a friend or neighbor, or they find us online. They may have found us by typing in a Google search like “Electrician in Grand Blanc” or “Flint electrician.” Or they may have visited one or more of the online sites that post customer reviews on companies of all types, including electricians. One such site is yellowpages.com. This site is the digital version of the large yellow book that used to get delivered to your home or office, but with the added benefits of having reviews from actual customers who have used the services of the company you are looking at hiring, and a lot more company information than was typically included in the printed Yellow Pages. The site also ranks local businesses, so customers can easily see which businesses are recommended by the Yellow Pages. We are proud to announce that Electrician Express is rated #1 by yellowpages.com for electricians in Grand Blanc! When you type “electricians” in the search bar, and “Grand Blanc, MI” as the city, you get a long list of electricians. The first few results you will see are paid advertisements by other electricians in the Grand Blanc area, but once you get past those listings, you will see our company’s name in the number one spot! As experienced, trusted electricians who have been servicing Genesee County homes and businesses for many years, it is encouraging to see that a respected site like yellowpages.com recognizes that we are one of the best electricians in Grand Blanc. We are known for our excellent troubleshooting and electrical repair skills, as well as for offering fair, upfront pricing to our customers. If you’re a past customers of ours, we’d love for you to leave us a review on any (or all) of the websites that review local businesses like ours, such as yellowpages.com, Google, or Yelp. By doing so, you can help others in Genesee County in need of an electrician find one that provides the type of quality service they are looking for. If you are the one that is in need of an electrician, contact a local company with many, many satisfied customers—Electrician Express! 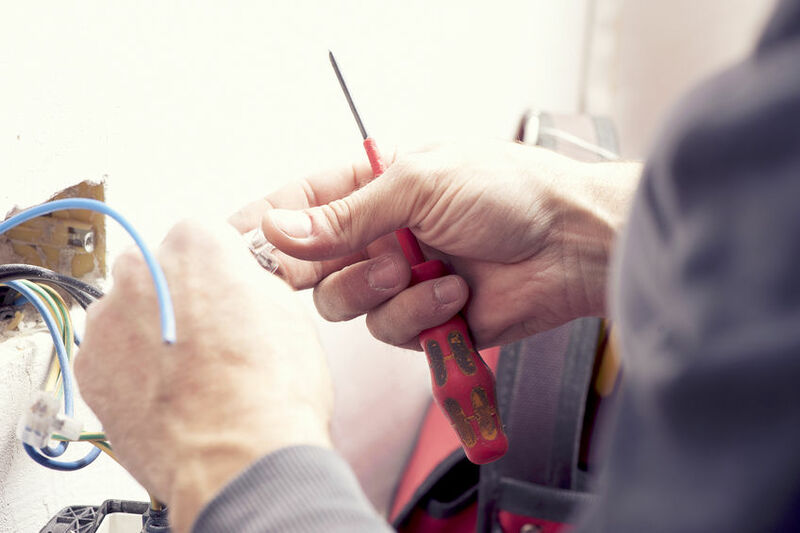 We are available 24 hours a day, 7 days a week for emergency service, or you can contact us through our website or call our office to schedule an appointment with one of our experienced Master Electricians. We can usually provide same-day service if you call us by 9:00 A.M. We hope to hear from you soon!